Mentor have over 30 years' experience delivering accredited operator and instructor training that meets the wide-ranging needs of companies of all types and sizes. We've trained over 700,000 operators nationwide at customer locations and our conveniently located UK training centres. From booking courses for a handful of operators to managing training plans for major manufacturing, retailing and distribution companies, we fulfil our customers’ requirements by following our Quality, Service, Value model. Our 180 experienced and qualified sub contractor instructors throughout the UK deliver courses in line with the latest HSE and best practice guidance, and we work with leading associations and accrediting bodies to ensure the highest standards. Training is available 24/7, 365 days a year. We offer a wide range of courses via one point of contact, making booking simple and convenient, alongside delegate management, record keeping and reporting from our dedicated support teams. Our all-inclusive fixed cost model allows us to offer a market leading service at an extremely competitive price, ensuring that our customers get the most out of their training budgets. Local instructors train on site for maximum convenience, relevance and to minimise costs. 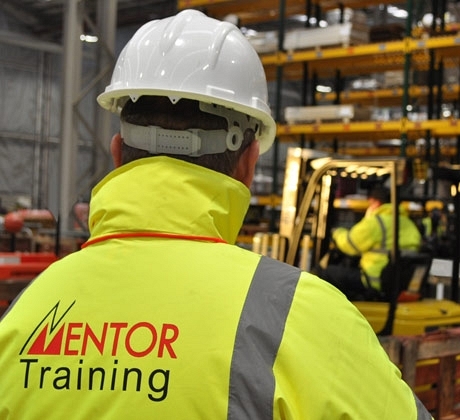 Mentor’s training courses cover a wide variety of equipment types from fork lift trucks to cranes to mobile elevated work platforms, all fully approved by the leading accrediting bodies for their respective industries. We also specialise in providing safety management training designed to reduce the risk (and cost) of accidents, including Managing Forklift Operations, IOSH Managing Safely, Working Safely, and Safely Working with Lift Trucks.